Over he last few years there has been an increase in the sales figures for USB flash drives. Manufacturers now produce drives as small as a tie clip or a small keychain figurine. You read that correctly – a computer storage device that you can wear as a tie accessory. In addition to the size becoming small, so too has the price, so many people can afford (or already own) them. Because of their popularity, and the security issues they present, many workplaces are banning employees from using them at the office. Using a USB drive is one of the easiest ways for a rogue employee to steal company information. Some companies have even gone so far as to disable the USB ports on all company computers that employees access. While this might seem a little extreme, some companies feel they have to take these steps to protect their information. Some businesses have given USB drives to their employees for promotional purposes, but still have not allowed employees to use them within the company offices. Because the drives come in many different shapes and designs, some businesses have decided it necessary to disable USB ports, since a supervisor might simply look at someone’s keychain and think that little attachment is cute. But that little attachment could ruin the entire company. There are potentially a number of harmful effects that these USB drives can have on a company’s business, through the theft of company documents and information. Even if employees were only using their USB drives for approved company business, what happens if they keep the drive in their purse or on a key chain, and then lose it? All of the information would be lost and available to anyone who finds or steals the flash drive. In a sense, carrying around a flash drive is just like carrying around your social security number or birth certificate. If you lose it, you are vulnerable to fraud. 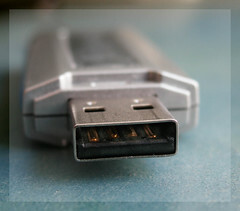 For most people, USB flash drives are a convenience that have allowed the easy transfer of files between computers, and cheap portable storage. They can also be valuable as a means of backup, in the event you lose information due to a virus or hardware failure. Given the increasing capacity and decreasing prices of the drives, it’s easy to see why this is an attractive solution. Admittedly, businesses that ban or restrict the use of the flash drives are sending a bit of a mixed message. 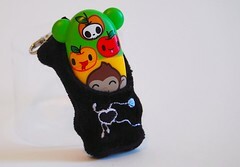 Judicious use of USB flash drives can make it vastly easier for an employee to conduct company business during travels. For example, employees can make presentations using files on the flash drive, and rather than carrying along a laptop with a lot of company information, they just take the flash drive with only the files they need. USB flash drive technology continues to evolve, however. Some drives are now including on-board encryption, and other security measures, including biometric (fingerprint) security. It remains to be seen whether this will lead to a change in attitude or policy at those companies that have taken a restrictive view of USB flash drives in the workplace.